Chard is a rather showy plant, particularly when compared to other leafy greens, and is an ideal choice for edible landscaping. All varieties of chard have large, green leaves and stems can vary greatly in color, including white, red, orange, yellow, purple and burgundy. These color combinations and the size of the leaves make chard look more like an interesting tropical plant than something you might put in a salad. This makes it a perfect choice for mixing in with ornamental plants or including in a fully edible landscape design. Additionally, it is a biennial vegetable that will continue to grow and form new leaves as you remove leaves and stems for culinary purposes. In fact, chard plants will eventually grow to look like small trees if they are allowed to continue growing. Chard can be grown in rows or individually interspersed among other plants, which makes it a good option for borders and flowerbeds. Since it grows well in both sun and partial shade, it is also versatile enough to fill in spots where other plants might not grow as well. Plus, it grows well in containers so it can be used in a container garden or to add color to patios in small backyards. While most leafy greens do best in winter or in cooler climates, chard is among the most heat-tolerant, so it can easily be grown in Southern California gardens. Chard seeds can be started indoors, but this is not necessary if you are growing your garden in coastal or near-coastal Southern California. 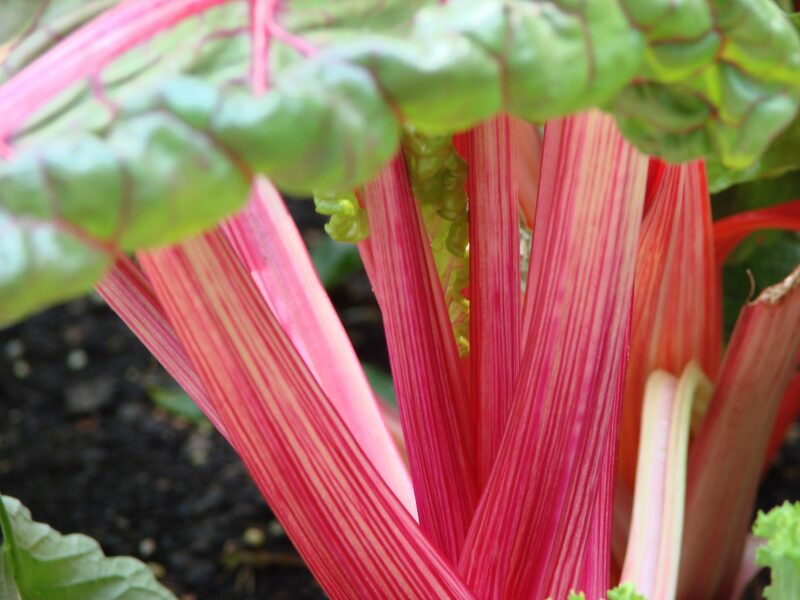 You can simply push chard seeds about one-quarter inch into the soil between 12 and 18 inches apart. Once planted, you will want to keep the area moist until your seedlings emerge. Once your chard plants begin to mature, try to keep the soil from drying out too much to avoid your chard acquiring a bitter flavor. You will need to pull weeds around your chard plants regularly to limit competition for water and soil nutrients. 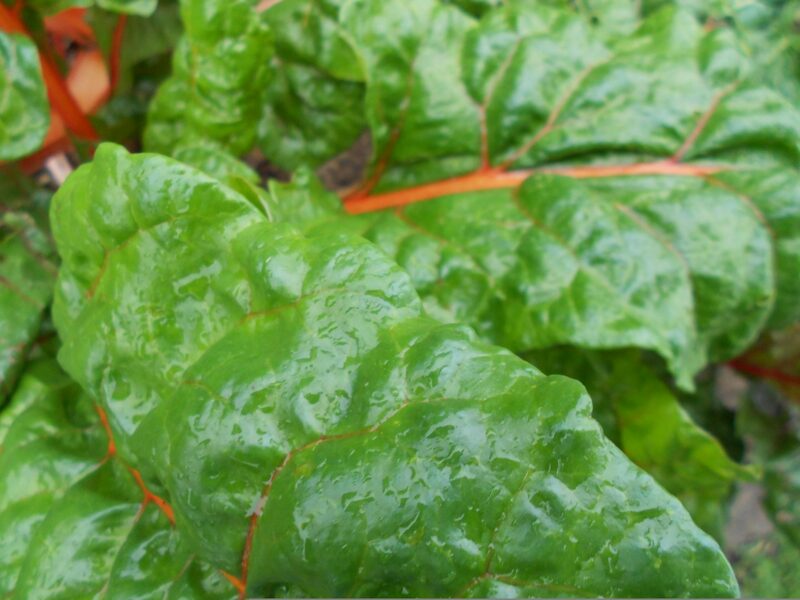 Like other vegetables, chard can be watered once or twice per week, depending on how hot and dry the weather is, and does best when watered deeply and no more than twice per week. If you are growing your chard as edible landscaping mixed with ornamental plants, be sure to avoid chemical fertilizers, pesticides and weed killers that you might use around plants that are not grown for food. Since you and your family will be eating this part of your landscaping, it is best to only use natural weed and pest control methods and organic fertilizers. As the leaves reach the size you would like to use for your salads, smoothies or side dishes, you can remove just the leaves and stems you plan to use and leave the rest of the plant to continue growing and producing more leaves. It is best to cut the stalks near the base of the plant with garden shears, scissors or a knife.